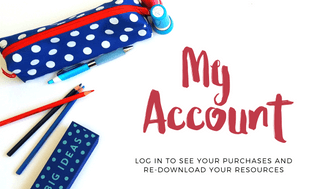 Organising homework doesn’t have to be a burden. Honest! There’s nothing better than ticking items off your to do list in your preparations for next term or the year ahead. You’ve completed term plans, assessment rubrics, IEPs and parent information flyers. You’re ready to go. Except that you haven’t organised your homework program. That’s OK, you can just photocopy some worksheets on Monday mornings… right? 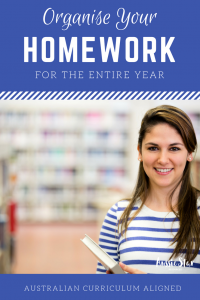 It sounds like a good plan, but the truth is homework can feel like a burden, first you need to find something that’s relevant and meaningful and ideally curriculum aligned. It also needs to be easy to mark and track. It also needs to be engaging and age appropriate. Homework is a great way for students to practise new skills and consolidate their understanding of what’s being done in the classroom. Finally, the content shouldn’t be new to the students and it also shouldn’t take too much of their time or require too much input from parents. 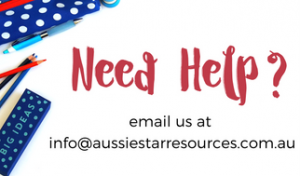 Because our number one goal is to ease your workload we’ve created our homework flip books that are aligned to the Australian Curriculum and designed to provide meaningful homework that will build on what they’re learning in the classroom. HASS reading passages and comprehension activities. Mental computation practice to help build speed and fluency with all kinds of mental arithmetic. Spelling Look, Say, Cover, Write, Check table featuring vocabulary from the HASS reading passage. A fun activity including mazes, short writing tasks, color by number and design tasks. Each flip book can be easily assembled by the students after the first couple of weeks they’ll be pros at it and issuing your homework will be a breeze. So that you can feel confident that you’ve got the curriculum covered we’ve included a table with each set outlining the topics, skills and content descriptors covered each week. Each set features nine flip books with a bundle of 36 for the year. There’s always at least one week of each term that you don’t issue homework (it was usually week 1 for me) so thought nine per term was a good number. To reduce your workload even further we’ve included answer keys for each week and these can be easily printed to make a handy booklet or displayed on screen. You could even display pages on the IWB so students can mark sections themselves. 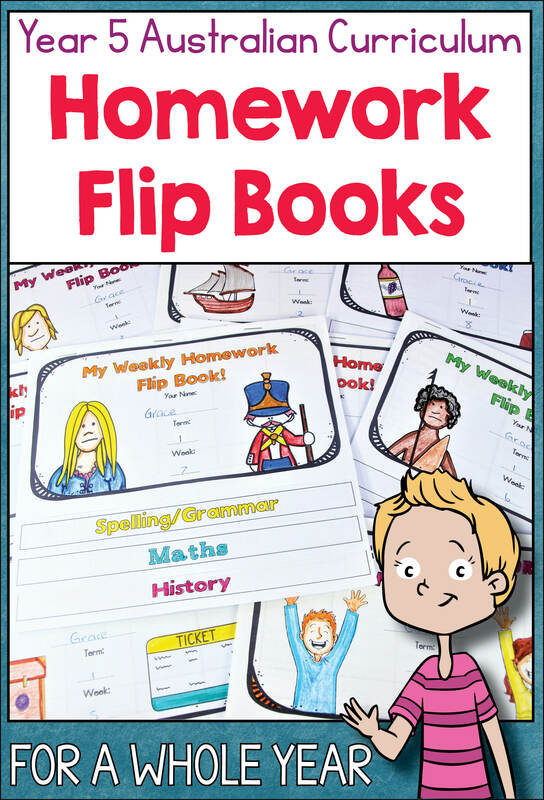 We’re very proud of our homework flip books and their ability to reduce the workload of teachers without compromising their dedication to providing age appropriate, meaningful and curriculum aligned content for their students. Want to know more and download a preview? You can check them out in our store here.